My Home Life | Come and join the team! My Home Life is recruiting new members of the team currently. We would love to hear from anyone who is interested in joining My Home Life. In particular, we are currently a Project Development Officer on a 6-month contract, in a freelance capacity, based in London to start in early March 2019. This is an exciting opportunity for someone with energy and passion to support our vision of quality of life for all people living, dying visiting, and working in care homes. The role will work alongside the Social Action Lead for My Home Life (MHL) to deliver communications to the MHL Network and other key stakeholders. In addition, the applicant will support the national roll out of our fantastic initiative, ‘Care Home Friends and Neighbours’ which fosters community engagement with care homes. 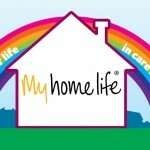 If you are interested in hearing more about this fantastic opportunity or talk more broadly about joining the My Home Life team, please do send a cover email and attached your CV, or contact us for more information.